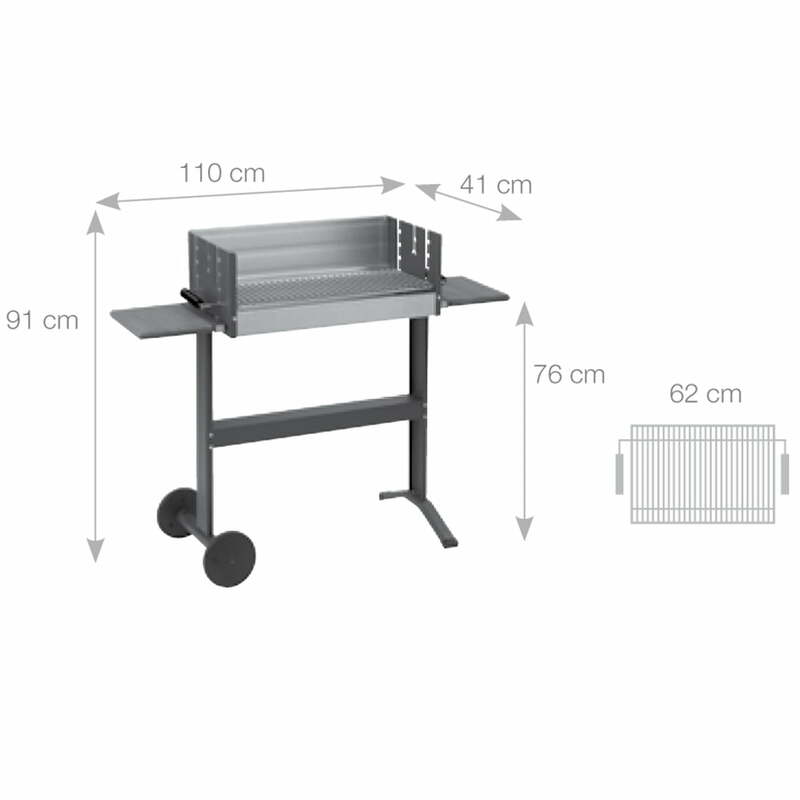 The 5300 Box Grill by Dancook is a BBQ trolley with practical advantages. The grill with rolls is mobile and versatile. 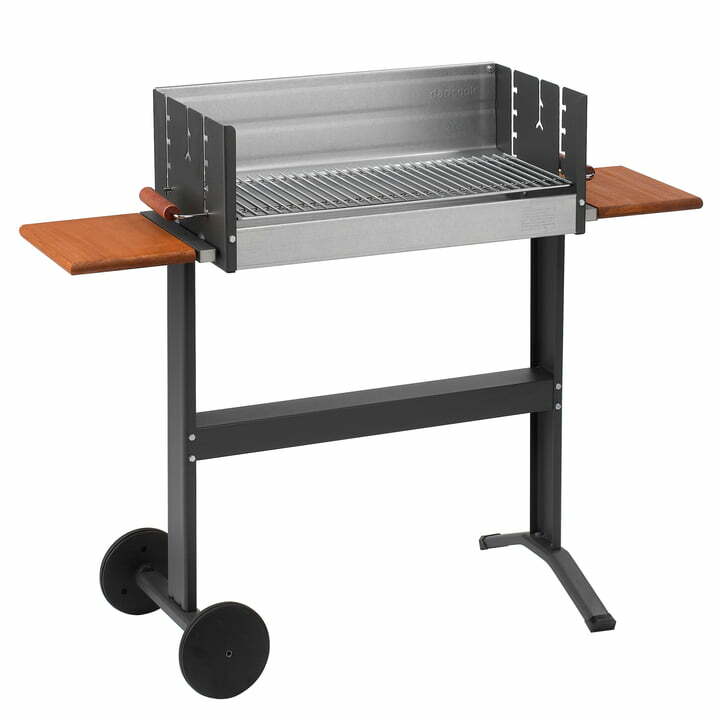 The Dancook 5300 Box Grill with a width of 62cm has a big grate for a lot of food to be grilled or to create a cooler and a hotter zone on the grill. 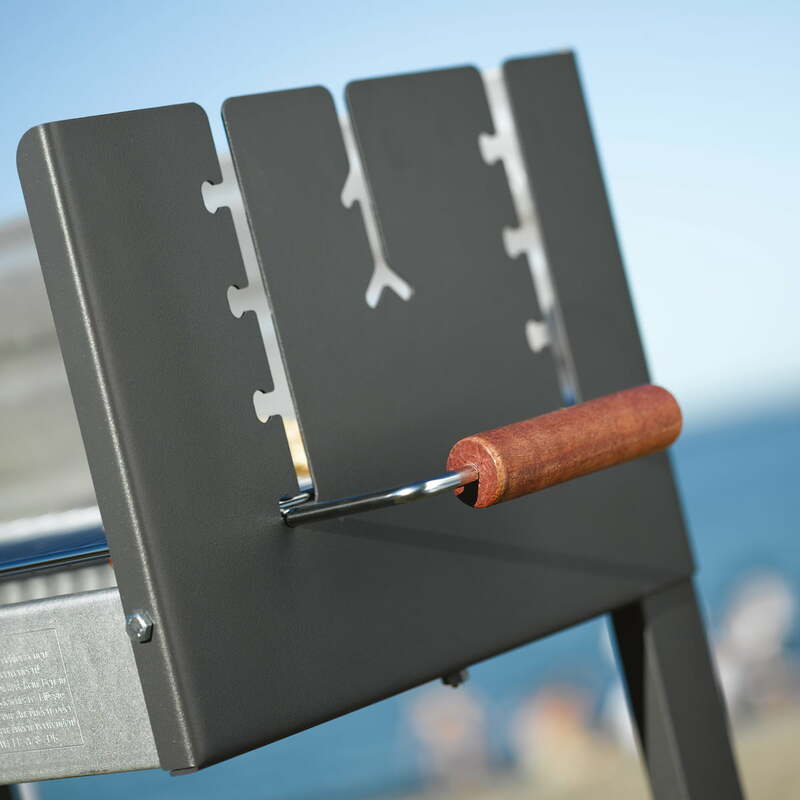 Two lateral trays made of FSC-certified hard wood offer enough space for accessories and more food to be grilled. The height of the grilling bowl is 76cm means it can be used by people of all heights. The grate of the 5300 Box Grill has lateral wooden handles in order to be easily used and it is adjustable in 4 heights to vary the temperature. The rolls make it possible to change the place of the Dancook grill without any effort. It stands safely as soon as it changed its place. The hot-dip aluminised fire bowl is extremely heat resistant and robust. The 6mm thick grate is easily removable in order to refill charcoal or to clean it. Since the charcoal grill by Dancook has a Teflon coating, the BBQ bowl is also easily cleaned.